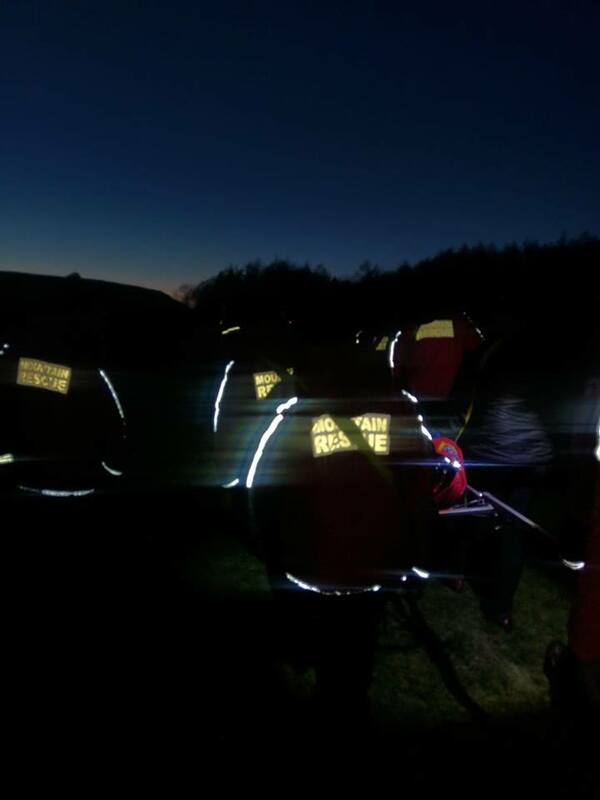 The team was called by Yorkshire Ambulance Service at 16.12hrs to assist with the rescue of an injured woman. The 45 year old woman from Chop Gate had been acting as a ‘beater’ at a shooting event on the Scugdale Estate near Swainby. She tripped on a wire fence and sustained a lower leg injury. Team members along with the Ambulance crew splinted her lower leg and administered pain relief. In the near freezing temperatures as she lay on the ground we ensured she was kept warm under an Emergency shelter and in one our Casualty bags, specifically designed for this type of incident. Team members, supported by members of the shoot then carried her several hundred metres through the very boggy fields to the waiting Ambulance ready for transportation to hospital. Thanks to those who also ensured the inquisitive cows were kept at bay! 15 Team members attended the scene and several others were in transit. The incident lasted just over an hour.